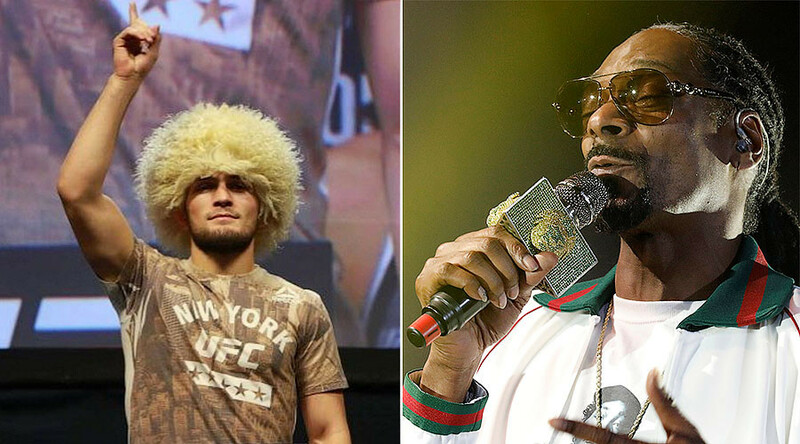 Hip hop superstar Snoop Dogg has backed MMA fighter Khabib Nurmagomedov to beat anybody in the UFC's lightweight division after being impressed by the Russian’s dominant victory over Michael Johnson at UFC 205 in New York. 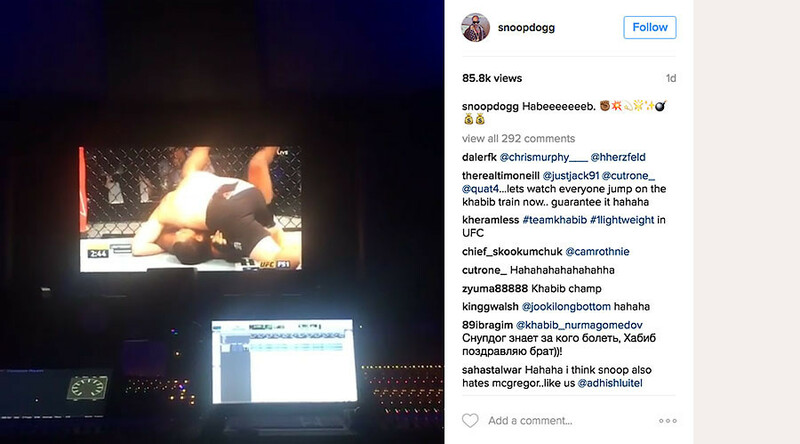 Snoop posted a video to Instagram of Nurmagomedov’s bout with the American, which he was watching from apparently inside a recording studio. While Snoop admits he hadn’t heard of the fighter before seeing him at the UFC 205 event held at Madison Square Garden, New York, the 46-year-old was convinced by the way Nurmagomedov took his perfect MMA record to 24-0 with a win over plucky Johnson by kimura submission after subjecting him to vicious ground and pound punishment. The current champion of the UFC lightweight division is charismatic Irishman Conor McGregor, who won the championship with a second-round TKO of Eddie Alvarez on the same UFC 205 card, becoming the first ever simultaneous UFC dual-weight division world champion. McGregor and Nurmagomedov came face to face at the weigh-in for the event when the pair had to be kept apart by security as they exchanged words backstage, and Nurmagomedov has made no secret of his desire to meet McGregor again – this time inside the octagon. Nurmagomedov, nicknamed ‘The Eagle’, has gained something of a cult following amongst MMA fans for his distinctive ‘Papakha’ hat, headwear native to the Caucasus region the fighter calls home, and which he wears during ring walks and in post-fight interviews. “I want to stay humble but other guys talk too much,” said Nurmagomedov. When asked about Nurmagomedov in his post-fight press conference, McGregor brushed off the challenge and called him a "consistent pull-out merchant", in reference to his fighting four fights in just three years. With UFC President Dana White stating earlier this year that he would want to hold an event in Russia featuring Nurmagomedov, and with both he and McGregor being the standout fighters in the division, the fighter from Dagestan may well get his wish.